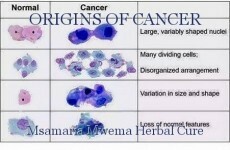 Anything that changes the DNA can cause the dreaded cancer. What role does foods play? © Copyright 2019 Msamaria Mwema Herbal Cure. All rights reserved. Simple Value Addition Tips to get back to shape! Frustration - An Emotional Rollercoaster! This page was created in 0.4598 seconds.